For over a hundred years entities and people have been investing in Florida real estate. From land speculators that purchase hundreds of acres of land at a clip and sit on them, to snow birds with one-bedroom beach or golf and tennis condominiums, there is and has always been and will always be a demand for owning Florida real estate. 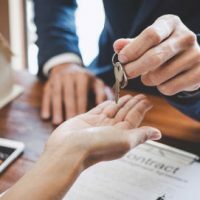 Owning real estate in Florida is a relatively safe investment, however, sometimes the acquisition and holding costs associated with a property make it necessary or more practical to be a co-owner of the property. As such, sometimes parties decide to purchase and become title holders of properties together; which is permitted under Florida law. In theory there is no issue with this at all, however, what happens when one owner refuses to cooperate or contribute to the carrying costs associated with owning the property, such as the annual property taxes. When joint property owners cannot decide on the day to day activities, the overall property management, or when to sell the property, Florida law provides for the statutory remedy of partition. §§ 64.011-64.091, Fla. Stat. Partition actions can involve the whole spectrum of parties, including very complex parties investing in commercial properties, to normal every day working people that have filed for divorce and are seeking to equitably distribute their marital residence, or a couple that has had a falling out and no longer live together, family members that have had a falling out, or business partners that have gone through a business divorce. The scenarios will vary from case to case, however, the law will still be applied pursuant to the statutory scheme in Chapter 64, Florida Statutes. An action for partition must be filed in the county where the land is located, it does not matter where the joint property owners are located. In order to be able to have standing to assert a partition action the party must include “any one or more of several joint tenants, tenants in common, or coparceners, against their cotenants, coparceners, or others interested in the lands to be divided.” § 64.031, Fla. Stat. A complaint for partition must show that title is in the plaintiff and that plaintiff holds possession or a right to immediate possession of the land. It must set forth to the plaintiff’s best knowledge and belief the names, places of residence, and interests held by the defendants against whom partition is sought. § 64.041, Fla. Stat. Once an action for partition has been filed the court will ultimately decide whether to divide up the property and give each joint property owner a portion of it or whether the subject property should be sold. When the court divides up the property and gives title to a specified share of the property it is called partition in kind. However, think of this from a practical perspective, not all properties can be so easily divided, such as condominiums and homes, partitions in kind are most commonly utilized with large tracts of land that are easily divided up. Additionally, if one joint property owner improves the land, such as paying the yearly property taxes, paid the mortgages on the property, or maintained the property, then the court can order that they receive a larger percentage of the property or a credit for the improvements rendered. If the court determines that selling the property is appropriate then a sale will be conducted. Pursuant to Florida law there are there different procedures available to the court for conducting a partition sale: (i) a judicial sale by public auction under § 64.071, Fla. Stat. ; (ii) a sale conducted by the clerk or a magistrate under § 64.061, Fla. Stat. ; or (iii) a sale based on the stipulation of the parties in accordance with Carlsen v. Carlsen, 346 So. 2d. 132 (Fla. 2D DCA 1977); Marks v. Stein, 160 So. 3d 502 (Fla. 2D DCA 2015). Most trial judges will afford the parties the opportunity to negotiate a private sale, either to a joint property owner or to a third party. However, in order to have a private sale conducted pursuant to Carlsen, the following two requirements must be met: (i) the judgment must fix some reasonable deadline for such arrangements to be completed, any private sale is subject to approval by the court; and (ii) the judgment must provide that if disposition of the subject property is not amicably resolved within a specified reasonable period of time, judicial sale of the property must take place in accordance with Chapter 64, Florida Statutes. The proceeds of the partition sale will be used to satisfy any mortgages, liens, and taxes, and will then be will be distributed amongst the joint property owners. The distribution will take into account any parties that made any improvements upon the property, such as making mortgage payments or paying property taxes. Additionally, attorney’s fees in Florida partition actions are specifically provided for in § 64.081, Fla. Stat., which provides for attorney’s fees commensurate with the level of service and benefits rendered to the cause. Attorney’s fees incurred in ancillary post partition judgment actions, such as probate proceedings, may also be recoverable pursuant to this statute. Sweeney Law, P.A. has represented lenders, mortgage servicers, investors, and owners in various partition matters concerning all types of real estate throughout Florida. Brendan A. Sweeney, Esq., of Sweeney Law, P.A., a boutique firm in Fort Lauderdale, Florida, prosecutes and defends real estate litigation matters throughout Florida. Brendan A. Sweeney, Esq., is an AV Preeminent Martindale Rated Attorney, that has been recognized as a Florida Super Lawyer in 2019, Florida Legal Elite in 2019, and as a Florida Super Lawyer Rising Star in 2018, 2017, 2016, 2015, and 2014. If you have any Florida real estate litigation questions and/or issues then contact Sweeney Law, P.A. at (954) 440-3993 immediately to protect your rights. www.sweeneylawpa.com.